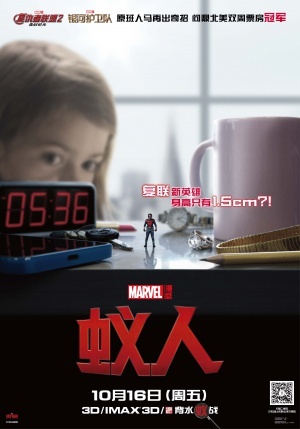 Using the same story template as the first Iron Man film (good guy has a super suit that bad guy wants to sell to even badder guys), and suffering from a last minute change of director (Edgar Wright bailed at the eleventh hour after 'creative differences'), Ant-Man is a surprisingly decent entry into the Marvel Cinematic Universe. After the everything-but-the-kitchen-sink attitude of the Avenger's films it's refreshing to see a film play out on a smaller scale. The only drawback is the crowbarring in of future Marvel storylines, which all felt way too clunky. Hats off to Peyton Reed for being able to pull off the seemingly impossible. Perfect Saturday night popcorn fare.